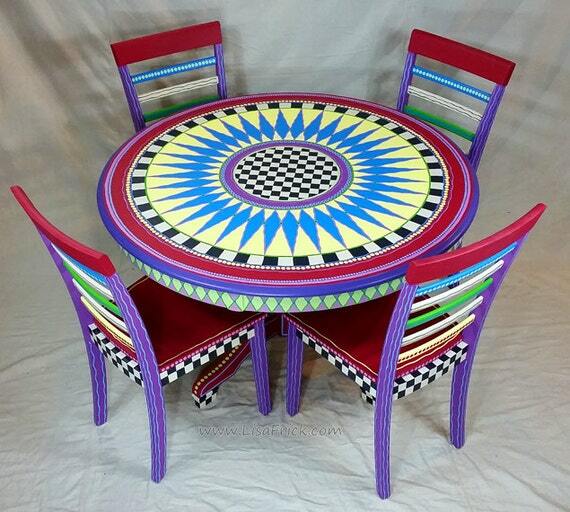 Funky Custom Made Furniture for the Creative Thinker Who Lives Outside all Boxes! 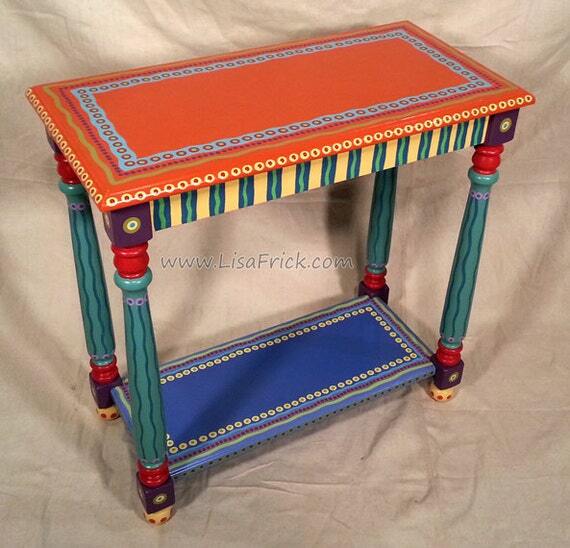 Custom Painted End Table by LisaFrickYou’ve just saved time. Why? 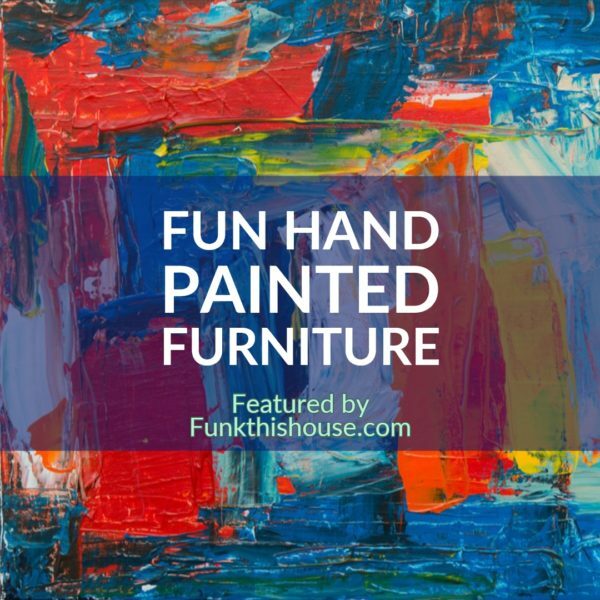 Because here at Funkthishouse I’m on the hunt for wild and funky items to feature so you don’t have to run around the internet like a chicken wearing tap shoes. 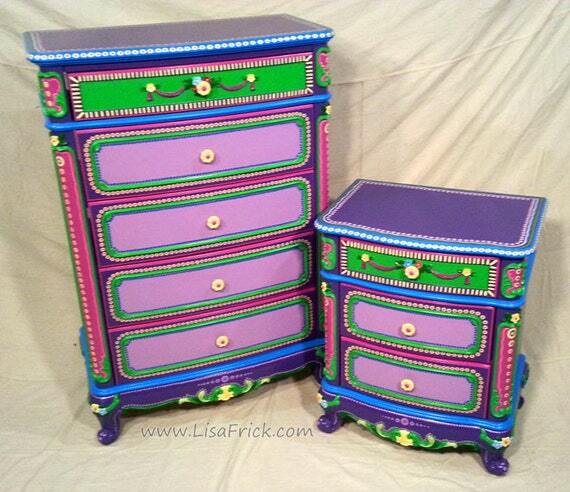 Today, you’re in luck, as Lisa Frick’s incredible work qualifies as funky funky funky! The colors and detail bring her pieces to cartoon-life; they’re gorgeous! 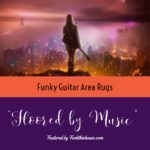 It’s not an exaggeration to say I spend many hours scouring the internet to find the funkiest items with pop and punch … and the ones that trigger an initial ‘holy cow’ response, usually find their way here or are shared socially – so be sure to follow, and also check out some of Lisa’s work below. Funky carries a different meaning for everyone. If your definition of funky means bright colors with an animated feel then you’ll love these. Easily mix these pieces with other themes. 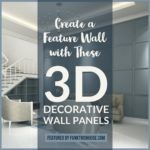 In fact, one of the popular themed concepts is Nightmare Before Christmas Decor and these funky custom furniture pieces featured here fit nicely. The bright colors make all of the pieces suitable for a room where a punch of interest is needed or for a full on themed-out space where artsy-wild-fun leads the way. 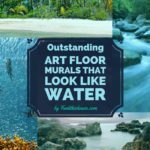 How many of us have been at a loss trying to decide how we can make our child’s room unique? It’s sometimes difficult to be brave with color, even when we want to. However, deciding upon a few key funky pieces for a space, makes decorating that space much easier. Just choose one piece to get started and take the colors from that piece and use them as the steering wheel for the rest of the room. Mixing Patterns? Give it to me Quick & Simple! 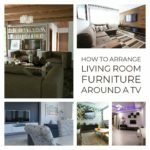 If you mix patterns together, the biggest thing to remember is ‘scale’ and to limit the number of different patterns in a room to three to five. The general rule is, you can mix patterns, just be sure the patterns are not in the same size family. As an example, a larger printed pillow can be mixed with a smaller printed pillow within the same color base for the room. However, break it up with a solid colored pillow if the patterns are too much and too close together. Watch the Featured Video: A quick overview on mixing patterns by Emily Henderson (it’s brief, and helpful). How fun! Love the colors, love the patterns, love the funk of the furniture! The video is excellent and really demonstrates well how to mix patterns. Oh, wow! The featured tables are gorgeous! I’m not even sure which I like best. That round table & chairs would be the perfect addition to a game room. It would make a great card table as well as a very impressive piece(s) of furniture. What fun it can be to decorate with bright colors for a cute and funky look, especially in a kid’s room. 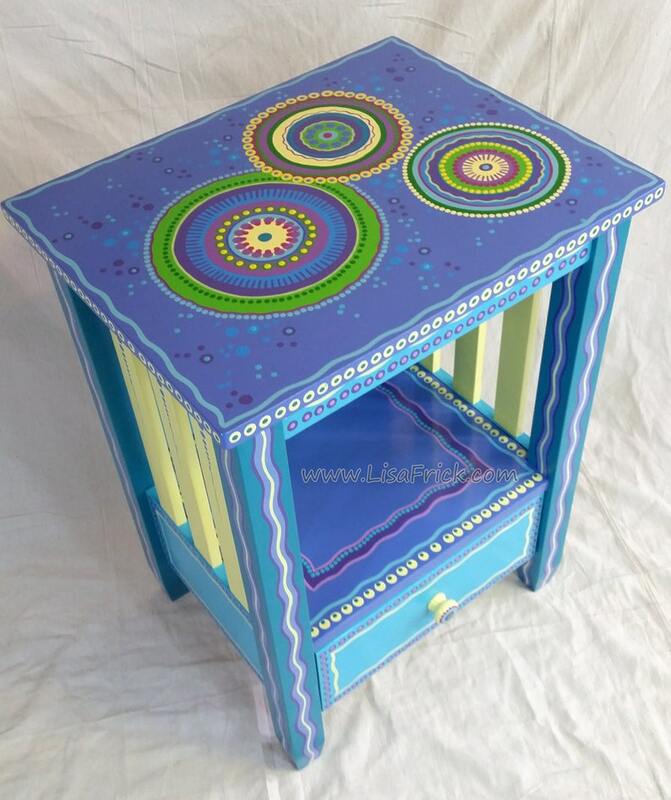 When my children were small, I took two small 4-drawer dressers I’d found used through ‘thrifting/garage sales’ and painted one blue with green drawers and blue knobs and the other the same way in yellow and orange – one for the son’s room and one for the daughter’s room. And I didn’t even know at the time that I was creating a ‘funky’ look. LOL. This type of funky furniture is all the rage where I live. I’m more traditional, but for a whimsical piece it would be great. Brenda thanks for the visit here. The colors would certainly cheer up a space. I always thought those funky colored furniture do well in a child’s room. 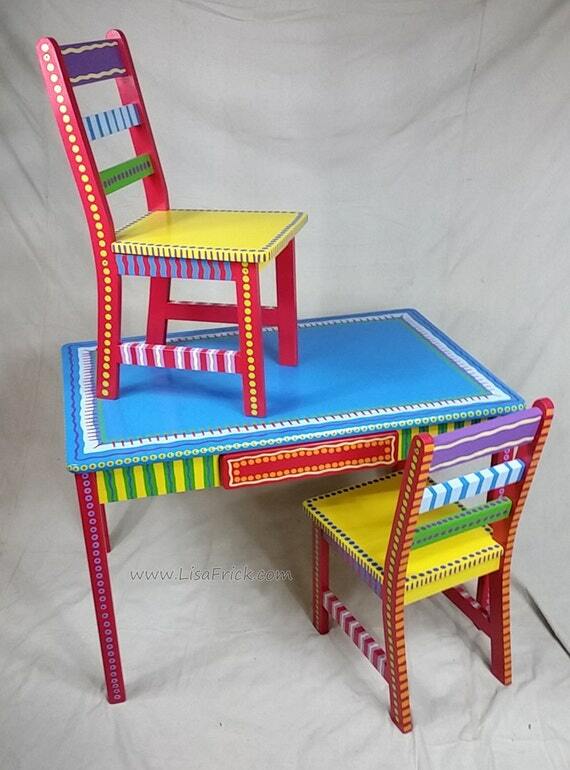 Wow, Barbara, that’s some seriously awesome painted furniture! Thanks for sharing! What a fun idea — sounds like something my artistic daughter in law would love to create! Fun fun! 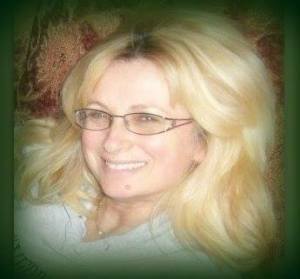 Hi Joan, thanks for stopping by, an artist in the family, yeah! 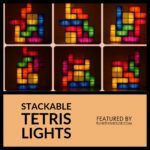 Funky Tetris Lights – Stackable with LED’s! 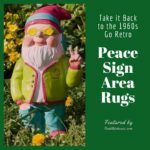 Funk’N Peace Sign Area Rugs for the Hippie in You!